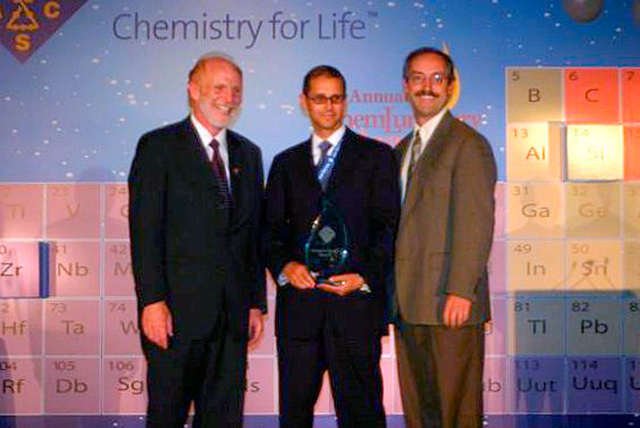 On August 18, 2009, the North Jersey Section of the American Chemical Society was awarded three ChemLuminary Awards during an award banquet at the Fall ACS meeting in Washington, DC. 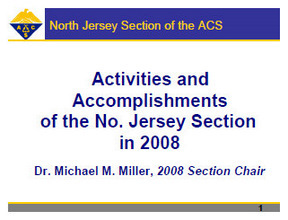 These awards, presented by the President of the ACS, were accepted by Dr. Michael M. Miller, 2008 NJ-ACS Section Chair, on behalf of the Section’s membership. 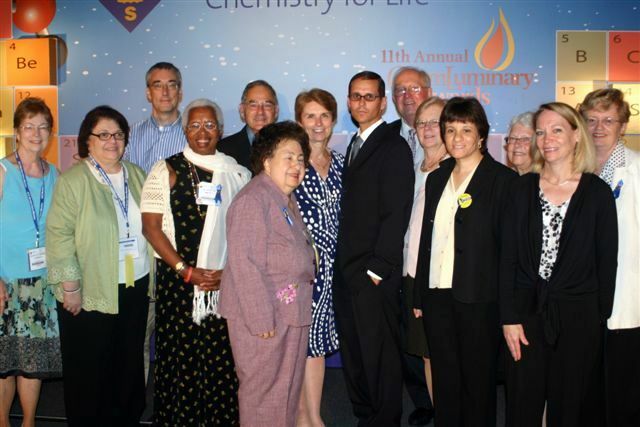 (Video exerpts of the presentations can be viewed here: clip 1 and clip 2). We thank all members of the No. Jersey Section who made 2008 a success!